Finding a home on bustling Clayton Road in Clayton, Twosome Story exudes a casual and welcoming environment. In line with its social setting, the menu items are primarily designed for sharing, with dishes divided into user friendly sections. The menu is abundant with options and features authentic Korean combined with modern techniques and twists alongside excellent service. The home-made banchan are extremely addictive condiments. Each wonderful in its own right, they were a brilliant accompaniment to our enlivening culinary journey at Twosome Story. To start we loved the kim chi pancake which boasted a crispy and light texture courtesy of being made from wheat flour and pan-fried with the perfect amount of heat. The Dragon cheese chicken were an absolute stand out. 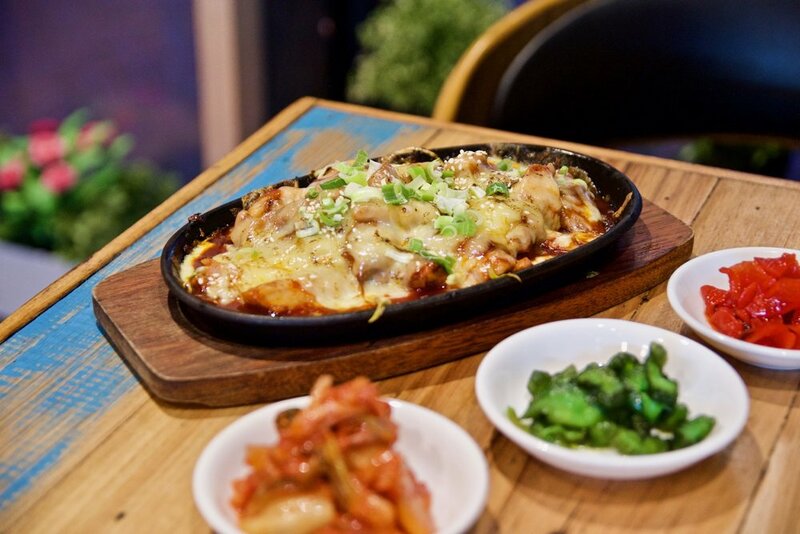 Think tender morsels of chicken on a sizzling hot plate slathered in a spicy sauce and topped with cheese. Not one for the faint hearted, this dish is equal parts thrill and heat. If chilli isn’t your thing, the Beef spare ribs is something you will love. Thinly sliced beef spare ribs are marinated in a fruity soy sauce and served with an assortment of veggies. This dish is perfect with a bowl of steamy white rice. We loved the balance of sweet and savoury that the dish delivers. A meal at Twosome Story would be incomplete without their famous fried chicken. We opted for the fried chicken with soy and garlic sauce and were not disappointed. The meaty fried chicken morsels were each crusted with a flavoursome spice mix and then perfectly fried to achieve a moreish crunchy exterior. 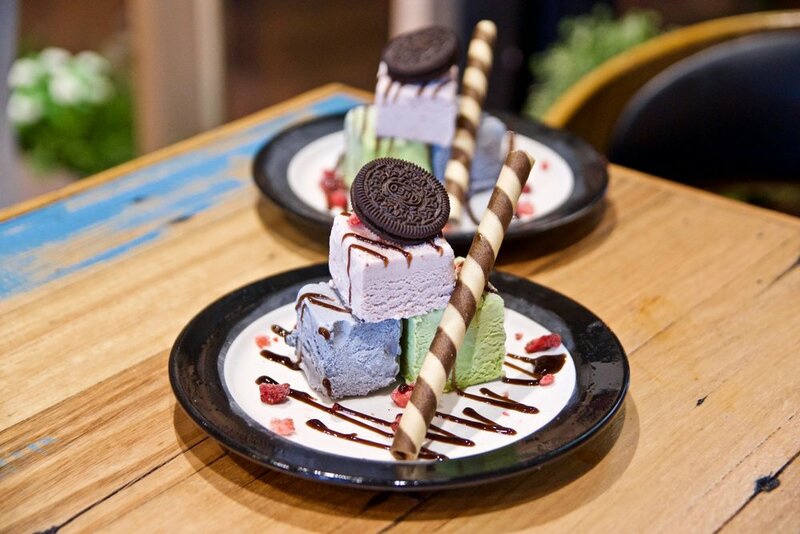 A must-order when visiting Twosome Story. For dessert three scoops of homemade ice cream concluded our evening on a sweet note. All three flavours (red bean, matcha and black bean) were very enjoyable. 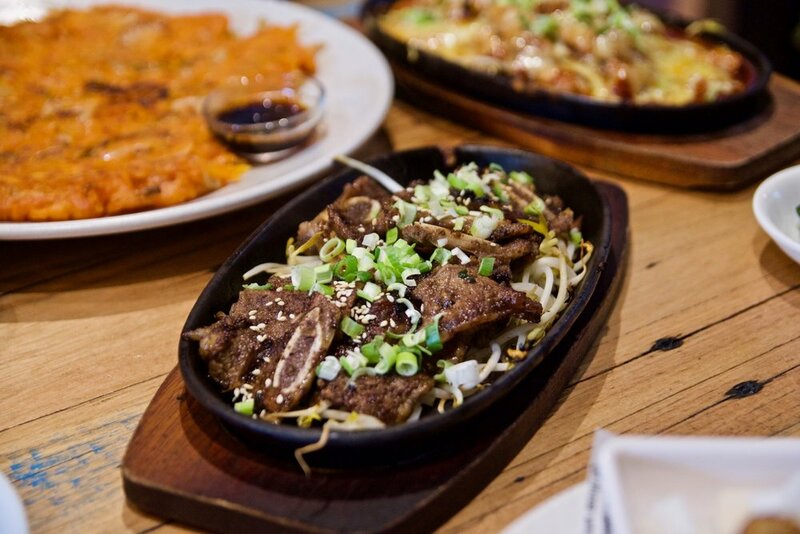 Twosome Story delivers high quality Korean cuisine and assimilates perfectly in Melbourne’s casual dining scene. The food produced adheres to a very high standard and looks to both surprise and please.